This entry was posted on February 10, 2017 at 8:45 pm	and is filed under Uncategorized. 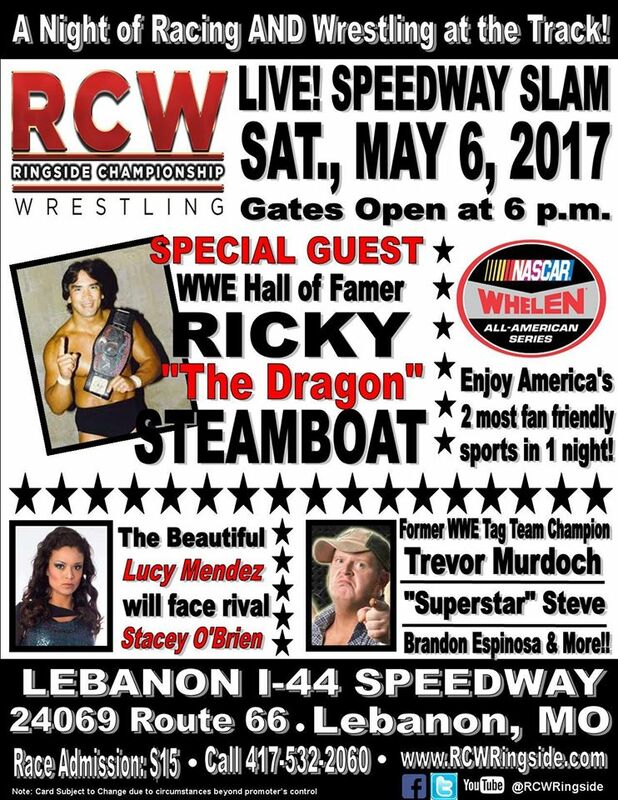 Tagged: Brandon Espinosa, Lebanon Missouri, Lucy Mendez, Nascar, RCW, Ricky Steamboat, Ringside Championship Wrestling, Stacey O'Brien, Steve Fender, TNA, Trevor Murdoch, WWE, WWE Hall of fame. You can follow any responses to this entry through the RSS 2.0 feed. You can leave a response, or trackback from your own site.